Missed patient appointments represent a significant cost to medical practices. It's been estimated that missed appointments cost the U.S. healthcare system $150 billion annually, representing inefficient use of medical assets and negatively impacting patient care and satisfaction. 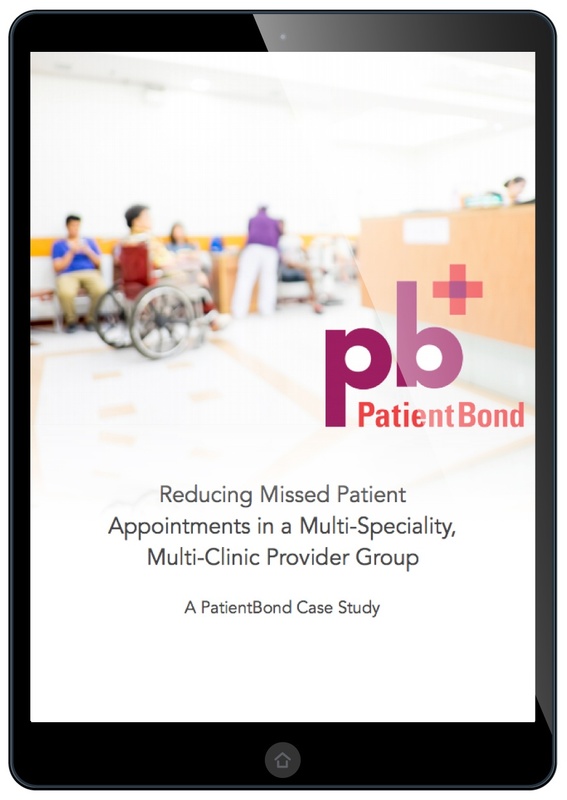 PatientBond is one highly effective and money-saving way to reduce missed patient appointments. This cloud-based, targeted healthcare engagement platform enables hospitals and health systems to improve care coordination and patient loyalty using a preference-based, personalized communications framework.